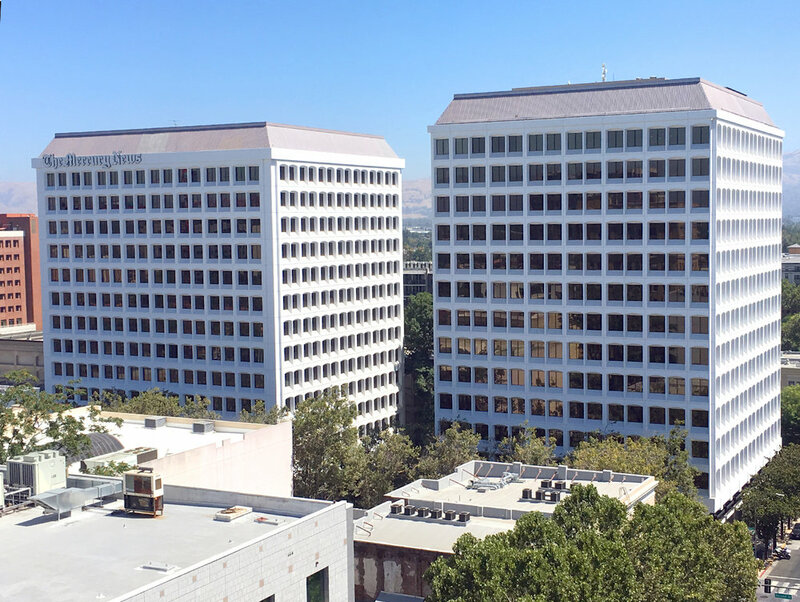 The Towers @2nd are twin 14-story high-rise office towers in the heart of downtown San Jose. Completed in 1974, the Towers comprise 411,544 square feet of space. Client Harvest Properties added amenities and contracted with Urban to paint the precast buildings to both waterproof and update the building exteriors. 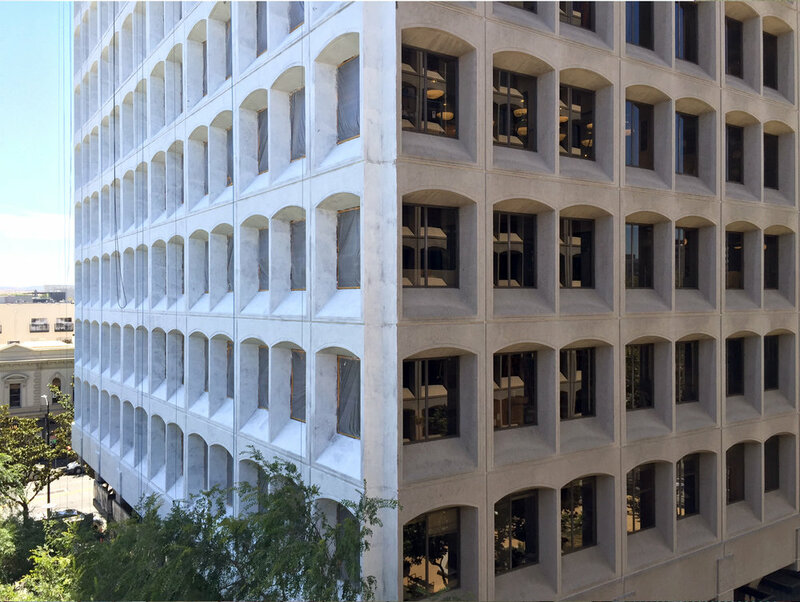 Taking on the project, we found that the exterior surfaces had not been treated or painted since 1974, so our first assignment was to refloat filler on the entire exterior of the two towers to repair cracks, bug holes and other signs of age and wear. We then applied multiple coats of a silicone elastomeric coating to brighten and add aesthetic appeal to the buildings, and meet our client’s goal of a visual rebranding.